Biogas from human waste, safely obtained under controlled circumstances using innovative technologies, is a potential fuel source great enough in theory to generate electricity for up to 138 million households - the number of households in Indonesia, Brazil, and Ethiopia combined. A report today from UN University's Canadian-based Institute for Water, Environment and Health estimates that biogas potentially available from human waste worldwide would have a value of up to US$ 9.5 billion in natural gas equivalent. And the residue, dried and charred, could produce 2 million tonnes of charcoal-equivalent fuel, curbing the destruction of trees. Finally, experts say, the large energy value would prove small relative to that of the global health and environmental benefits that would accrue from the safe treatment of human waste in low-resource settings. "Rather than treating our waste as a major liability, with proper controls in place we can use it in several circumstances to build innovative and sustained financing for development while protecting health and improving our environment in the process," according to the report, "Valuing Human Waste as an Energy Resource." The report uses average waste volume statistics, high and low assumptions for the percentage of concentrated combustable solids contained (25 - 45%), its conversion into biogas and charcoal-like fuel and their thermal equivalents (natural gas and charcoal), to calculate the potential energy value of human waste. 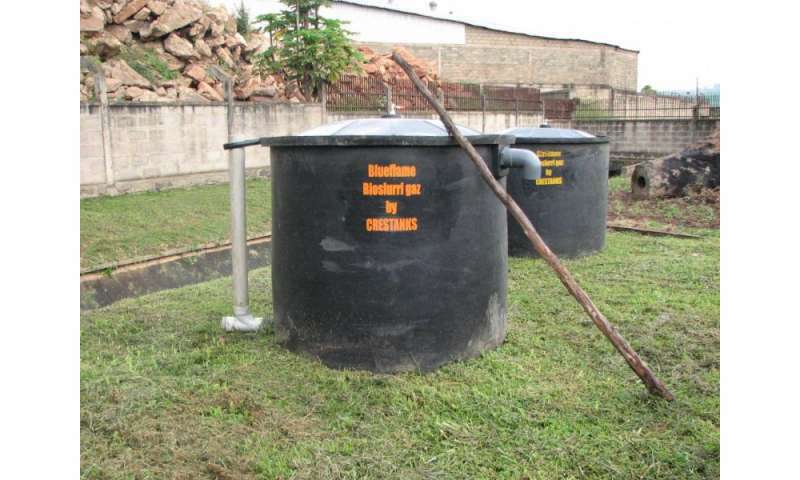 Biogas, approximately 60% methane by volume, is generated through the bacterial breakdown of faecal matter, and any other organic matter, in an oxygen free (anaerobic) system. Dried and charred faecal sludge, meanwhile, has energy content similar to coal and charcoal. UN figures show that 2.4 billion people lack access to improved sanitation facilities and almost 1 billion people (about 60% of them in India) don't use toilets at all, defecating instead in the open. If the waste of only those practicing open defecation was targeted, the financial value of biogas potentially generated exceeds US$ 200 million per year and could reach as high as $376 million. The energy value would equal that of the fuel needed to generate electricity for 10 million to 18 million local households. Processing the residual faecal sludge, meanwhile, would yield the equivalent of 4.8 million to 8.5 million tonnes of charcoal to help power industrial furnaces, for example. Says lead author Corinne Schuster-Wallace: "Increasingly, water-scarce regions are being driven to separate and reuse the water in wastewater, particularly to expand marginal agricultural lands. There is a technological opportunity, particularly in rural growth areas and small towns, to derive energy as well from this resource." UNU-INWEH Senior Research Fellow Chris Metcalfe of Trent University notes that human waste, as with animal waste, is already used to improve food production in many places around the world, governed by guidelines to ensure its safe use. A study in Sweden established that human urine contains over 300 g of phosphorous, 900 g of potassium and 300 g of sulphur per cubic meter. According to the World Health Organization, an individual's body excretes an estimated 4.5 kg of nitrogen and 548 g of phosphorus per year. "We recycle the nutrients in human waste effectively via agriculture in many places, yet the potential energy value of human waste has been given much less attention to date," says Dr. Metcalfe, a report co-author along with UNU consultant Chris Wild. "Challenges are many but clearly there is a compelling, multi-dimensional financial case to be made for deriving energy from waste." Says UNU-INWEH Director Zafar Adeel: "When it comes to creating misery and poverty, human waste mismanagement has few rivals. If we can demonstrate a simple, cost effective new approach in low-resource settings, if we can successfully make a business case and change the economic paradigm of human waste management, we can advance development, protect the environment and help reduce sanitation problems causing one-tenth of all world illnesses." "World Toilet Day, upcoming November 19, offers the opportunity to promote new thinking and to continue puncturing the taboos in many places that inhibit discussion and perpetuate the disgrace and tragedy of inadequate human waste management in many developing world areas. This report contributes to that goal." With initial seed funds from federally-funded Grand Challenges Canada, UNU-INWEH in partnership with the Ugandan Ministry of Water and Environment, its agencies, and other NGO and academic institutions, established the Waste to Wealth national framework. 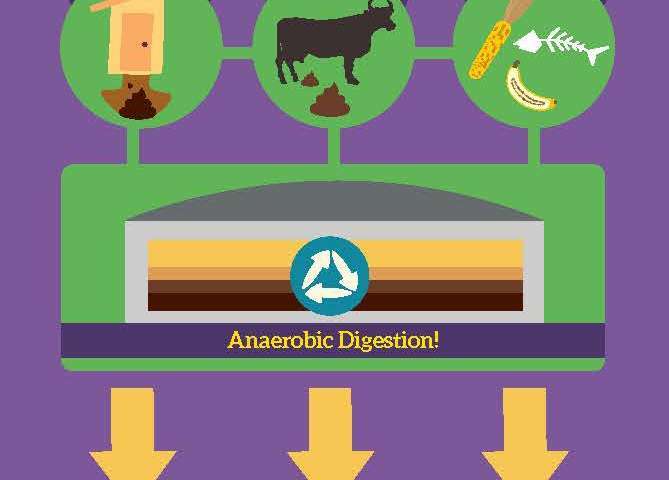 Waste to Wealth utilises modern anaerobic digestion technologies linked to sanitation systems. With a focus on rural growth centers and small towns, as well as high population density institutions such as schools and prisons, the biogas and residual material left from energy conversion is a valuable economic resource to provide a return on investment in bioenergy technologies. The ultimate goal of Waste to Wealth is decentralised (on site) faecal waste management and to help bridge the finance gap for sanitation in Uganda. By identifying value in waste (energy and /or fertilizer), Waste to Wealth provides an incentive to use toilets and a mechanism to finance both upfront capital costs as well as facility operation, maintenance, and expansion. In addition to the economic opportunities, sanitation interventions have known benefits to individual, household and community health and wellbeing. Phase two of the project involves proof of concept of a series of proposed initiatives, including equipping a Ugandan prison with a $100,000 system requiring approximately $5,000 in annual operating costs, expected to pay for itself through fuel cost savings within 2 years. Waste to Wealth is one of several pilot projects in Africa to have received seed grants from Grand Challenges Canada for the systematic collection of waste for processing into a variety of energy or agricultural products.